... 1980 (30 years ago today), Radio Tehran threatened that 52 American hostages could face execution. 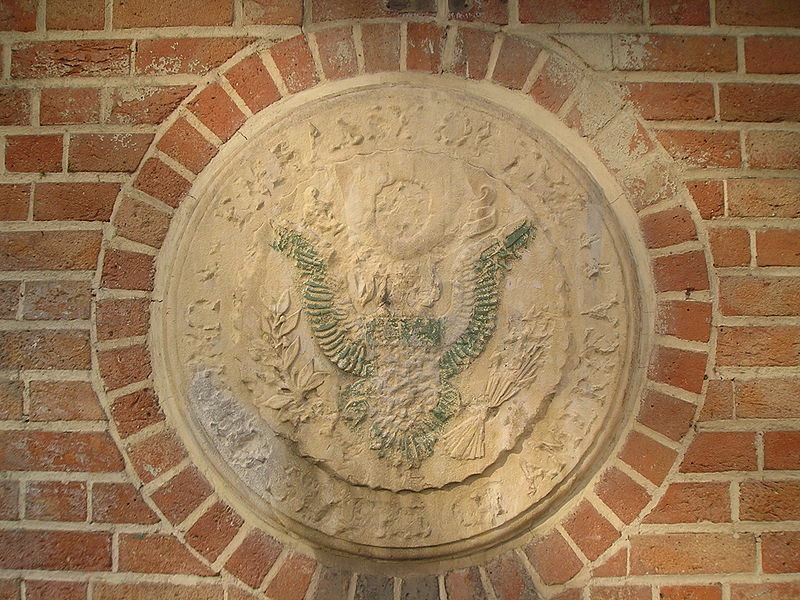 As posted (and see here), the hostages had been seized during the takeover of the U.S. embassy on November 4, 1979. 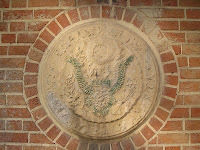 (credit for 2004 photo of defaced U.S. seal at the former embassy building) Earlier that same year, revolutionaries had ousted Mohammed Reza Pahlavi, who'd been the Shah of Iran since 1941. On this same day 3 years earlier, in 1977, President Jimmy Carter had given a New Year's toast in Tehran, "reiterating American support" for the shah, "and calling him 'an island of stability' in the troubled region." The hostages would be released the following month, minutes after Ronald Reagan was sworn in as Carter's successor.